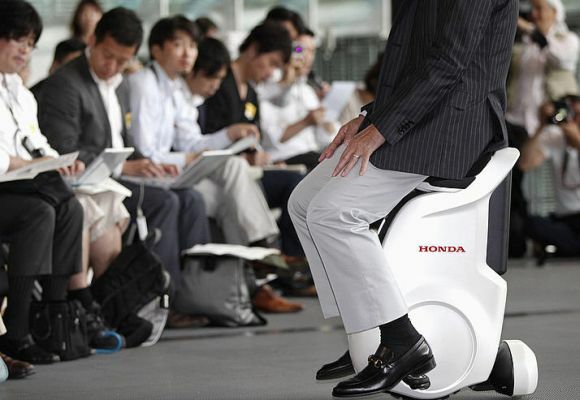 Rediff.com » Business » Is this how we will travel in future? Is this how we will travel in future? Most transport vehicles that we use today are generally powere by fossil fuels. These fuels have their drawbacks – they pollute the environment and the sources to get them are limited. There are many ideas to replace the current transport that either are free of fossil fuels or cut their use extensively. Here are some of visions, both hi- and low-tech, of the future of personal and public mobility. 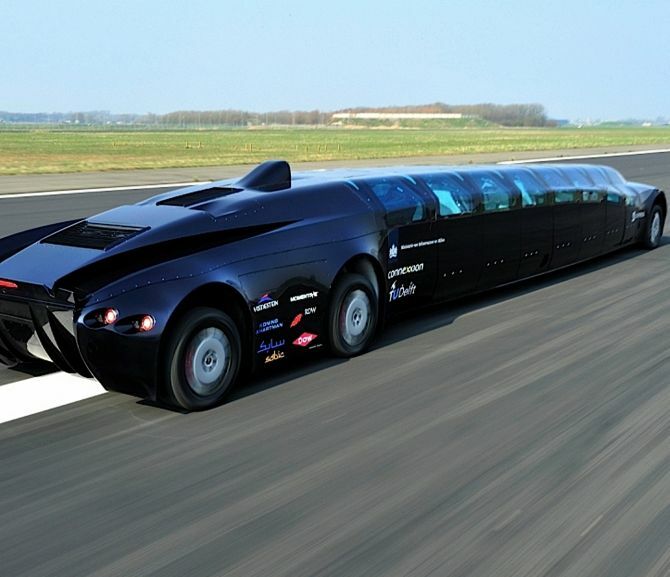 Developed and showcased on the streets of Groningen by the Delft University of Technology in the Netherlands, Superbus is a 15-meter long electrically powered vehicle with individual seating for 23 passengers and eight gull-wing doors per side. It resembles what might be a stretch-Lamborghini. Capable of a 250kmph cruising speed and designed to drive on normal roads, Superbus will have no fixed route with the routes being customised based on the preferred starts and destinations of the passengers, the developers say. The highest recorded speed of a maglev train is 581kmph, achieved in tests in Japan in 2003. 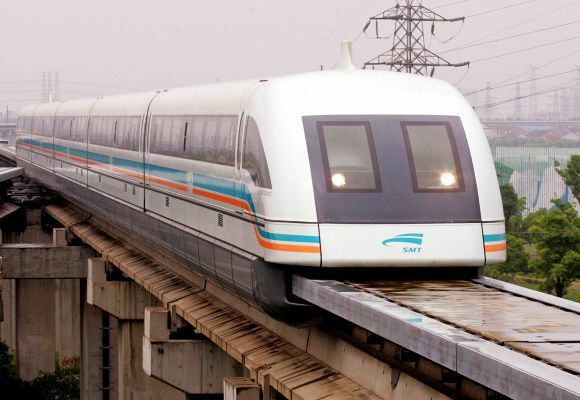 There are presently two commercial maglev trains in operation, the one in Shanghai and one low-speed train in Japan. Maglev systems use magnets to both levitate and thrust forward the train, which rides a short distance above a guideway. The lack of friction between the vehicle and the ‘track’ means that acceleration and deceleration is more efficient, say Maglev supporters, who argues that Maglev trains will move more smoothly and quietly, require less maintenance and suffer less wear and tear than conventional trains with many moving parts like wheels. Image: Shanghai's 1.2 billion dollar maglev train (magnetic levitation) arrives at Long Yang station after its 430kmph trip from Pudong Airport in Shanghai, China. High-speed rail is expanding rapidly worldwide as a rapid, secure, and climate-friendly alternative to air and road travel. According to the Worldwatch Institute, the number of countries using high-speed rail will jump from 14 today to 24 in 2014. Right now the countries making the most use of high-speed rail (ranked by length of track) are China, Japan, Spain, France, and Germany. Turkey, Italy, Portugal, and the US plan to join them with significant systems stretching more than 1,000km while another 15 countries intend to create shorter networks. 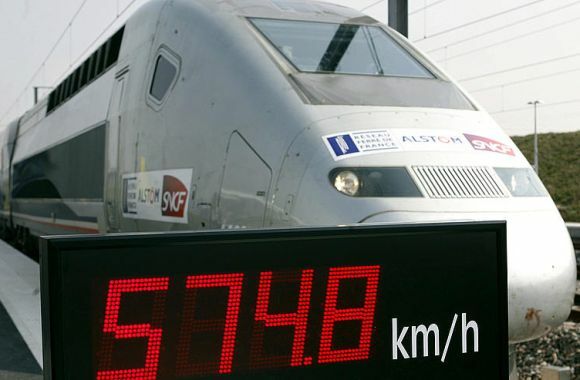 Image: The special V150 French TGV high-speed train is seen after setting a world speed record at 574.8kmph in France's Champagne region at Bezannes, eastern France April 3, 2007. The Seoul Metropolitan Government and the Korea Advanced Institute of Science and Technology (KAIST) manufactured the tram using a new technology called the On-Line Electric Vehicle (OLEV) system, which is remotely charged via electromagnetic fields created by electric cables buried beneath the road. Seoul Grand Park started to run three new wireless electric trams, which consume no fossil fuels and do not require any overhead wires or cables. They replaced old diesel-powered carts, local media reported. Image: A wireless electric tram moves on a road embedded with a power strip after its launch ceremony at Seoul Grand Park in Gwacheon, south of Seoul, July 19, 2011. Google's self-driven cars will soon be appearing on Nevada roads after the state's Department of Motor Vehicles approved the nation's first autonomous vehicle license. The move came after officials rode along on drives on highways, in Carson City neighbourhoods and along the famous Las Vegas Strip, the Nevada DMV said in a statement. The Nevada legislature last year authorized self-driven cars for the state's roads, the first such law in the United States. That law went into effect on March 1, 2012. 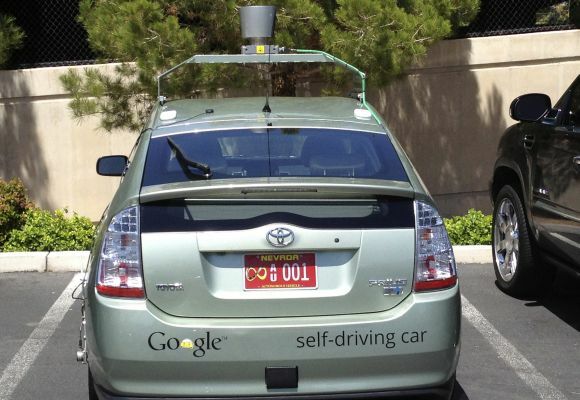 Image: Handout photo courtesy of the Nevada Department of Motor Vehicles shows a Google self-driven car in Las Vegas, May 1, 2012. 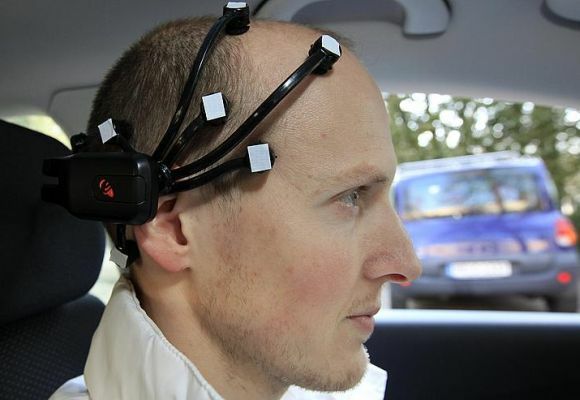 The car, a modified Volkswagen Passat, is controlled by 'BrainDriver' software with a neuroheadset device, which interprets electrical signals along the scalp with additional support from latest radar sensing technology and cameras. As seen in the photo, Daniel Goehring of the AutoNOMOS research team of the Artificial Intelligence Group at the Freie Universitaet (Free University) demonstrates a hands-free driving of the research car named 'MadeInGermany' during a test in Berlin. 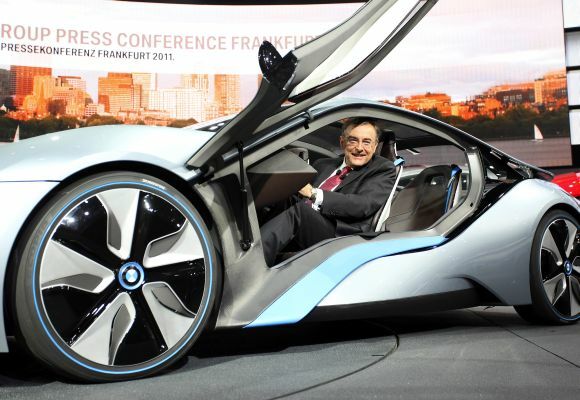 Chief Executive of German luxury carmaker BMW Norbert Reithofer poses inside a BMW i8 concept car made with carbon composites during the International Motor Show (IAA) in Frankfurt. BMW is using composite technology in its new range of "i" electric vehicles and plug-in hybrids. Whole cars made of carbon fibre composites will be available from 2013. The company says its cars bodywork will be 250-350kg lighter than that of a conventional car of the same size, thereby reducing drag and so improving efficiency and range, thus making e-vehicles more attractive to potential customers. Solar Impulse's solar-powered prototype stands after its first successful night flight attempt at Payerne airport in Switzerland. The aircraft took off on the morning of July 7 and reached an altitude of 8,700 meters by the end of the day. It then slowly descended to 1,500 meters and flew during the night on the batteries, charged during the day by 12,000 solar cells built into its 64.3 meter-long wings, which power the four electric motors. 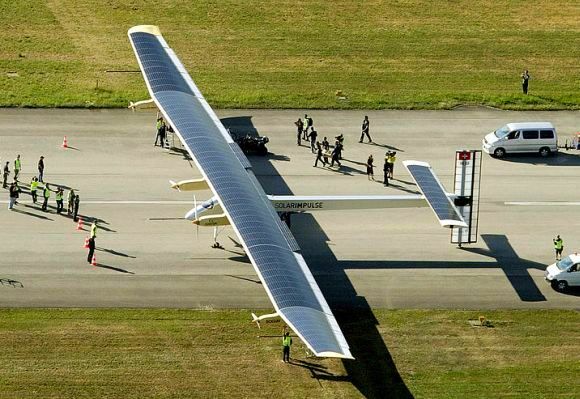 It landed July 8 at 09.00 am for a flight time of 26 hours and nine minutes, setting the longest and highest flight ever made by a solar plane. Solar Impulse is preparing and testing the plane for a planned round-the-world flight in 2014. 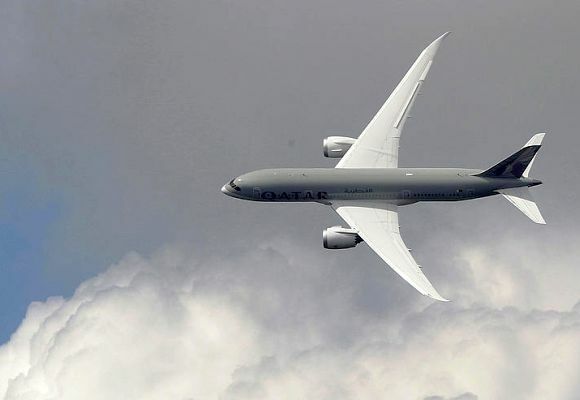 A Boeing 787 Dreamliner, owned by Qatar Airways, performs a display flight at the Farnborough Airshow 2012 in southern England, showing off a carbon-composite design its maker says is lighter, more economical to fly and more comfortable than its metal rivals. Lighter planes should result in greater fuel efficiency and therefore fewer carbon emissions per flight. Mamoru Mori, Executive Director of National Museum of Emerging Science and Innovation (Miraikan) and former astronaut, rides Honda Motor Co's new UNI-CUB personal mobility device at the museum in Tokyo. The new device allows the rider to control speed, up to 6kmph, and direction by shifting one's own weight. 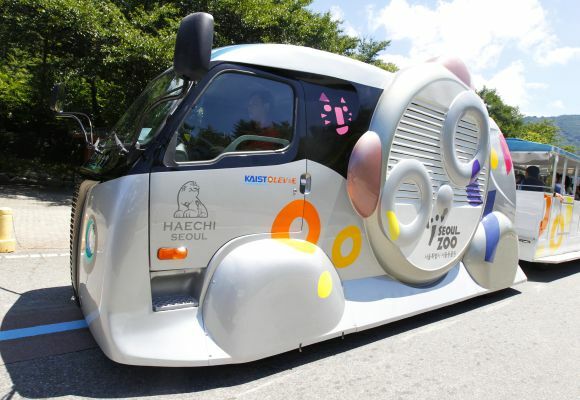 Honda and the museum will jointly conduct demonstration testing of UNI-CUB from June 2012, Honda said. 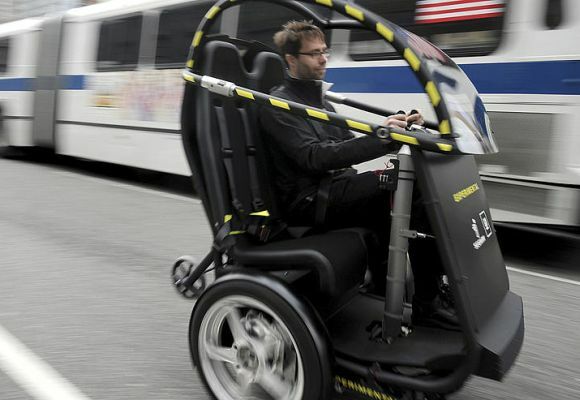 The Project P.U.M.A., an electric two-seat prototype vehicle with two wheels drives up 18th Street in New York City. The Project P.U.M.A. vehicle (Personal Urban Mobility and Accessibility) combines technologies from Segway and General Motors and aims to provide personal mobility with zero emissions while reducing congestion in cities. General Motors is also exploring concept vehicles that park themselves and automatically return to the user when summoned from a smartphone application. Fujita Health University Professor Eiichi Saito, using an ‘Independent Walk Assist’ robot, walks during a news conference showcasing Toyota Motor Corp's new robots aimed at supporting nursing and healthcare efforts. 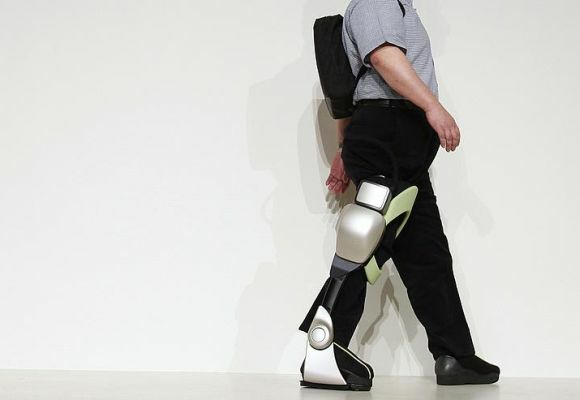 The robot, mounted onto a paralysed leg, aims to help the knee to bend to facilitate natural walking. The robot is part of the Toyota Partner Robot series and aims for commercialisation from 2013, according to the company. 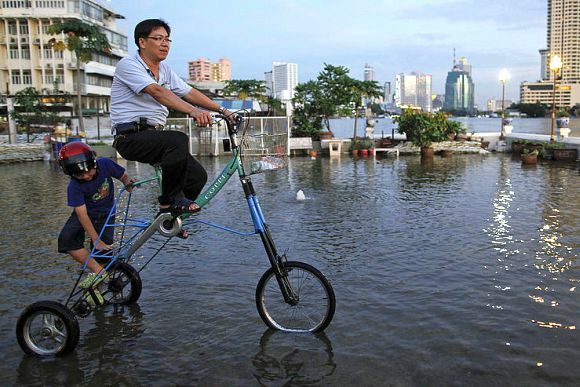 Anusorn Adirekkittikun's eight-year-old son, Korn, climbs on the tricycle his father designed and built to move through water in a flooded neighborhood near Chao Phraya river in central Bangkok. Rising sea levels and increasingly extreme weather associated with climate change mean that many urban residents will, like Adirekkittikun, have to modify the way they get around town. Designer and builder Rick Dobbertin and his wife are seen during a water test in the Dobbertin HydroCar. Dobbertin, of Pennellville in upstate New York, spent almost nine years and $300,000 building the HydroCar. 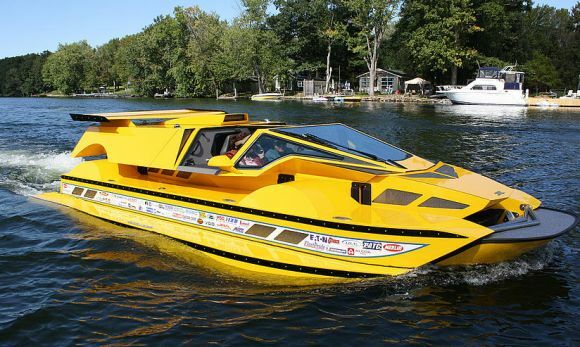 It has a 762 horsepower engine and travels at speeds up to 160kmph on land and 40-48kmph on water. In water, the car is buoyed by pontoons that, on land, are raised and become its fenders. 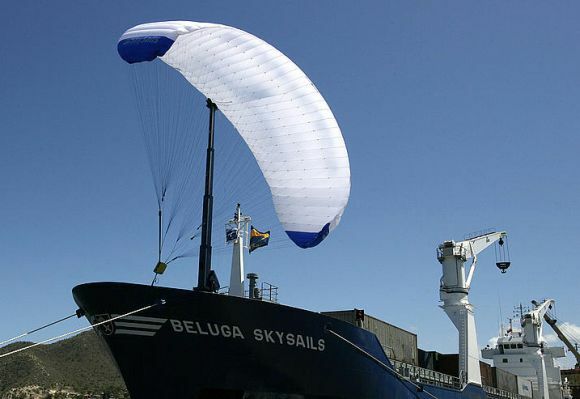 The SkySails Beluga ship docks in the port of Guanta in the city of Puerto La Cruz, 320km west of Caracas in Venezuela. The 10,000-ton 'MS Beluga SkySails' left Germany on January 22 for Venezuela and its computer-guided kite system was deployed after it reached the trade winds near the Azores. The system resulted in 10 to 15 percent reduction in fuel consumption, which amounts to 1,000 to 1,500 dollars per day savings. A view of what the Curitiba City Hall called the world's longest articulated bus, as it was presented to the press before going into service on the Brazilian city's public transportation grid. 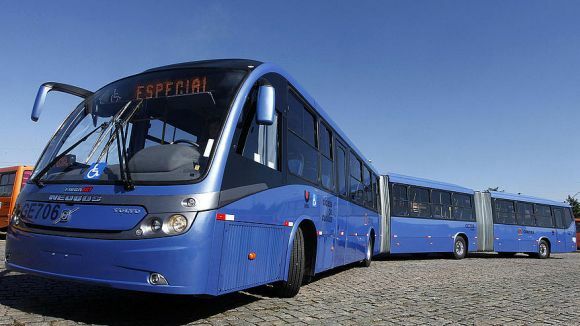 The bus, made in Brazil by Volvo with a Neobus chassis, has a capacity of 250 passengers, is 28 meters long, 2.6 meters wide, and is powered with biodiesel made from soybeans. Curitiba is famous for its bus rapid transit system which now carries 2.2 million passengers daily and has become an inspiration for similar systems elsewhere featuring dedicated bus lanes. While the city’s population has doubled since the system was introduced, its car traffic has declined by 30 per cent. A man cleans electric tricycles on display before their launch at Mandaluyong City in Metro Manila. 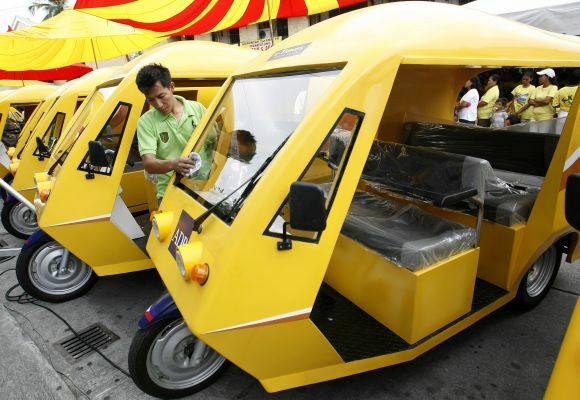 An initial 20 units of electric tricycles were transferred by the Asian Development Bank to the city of Mandaluyong as part of its funded project to introduce energy-efficient transportation alternatives in the Philippines. A convoy of vehicles remote controlled by the lead truck drives down a public highway outside Barcelona, Spain. The first SARTRE (SAfe Road TRains for the Environment) road train was tested among other road users in May 2012, covering approximately 200km at 85 kmph. 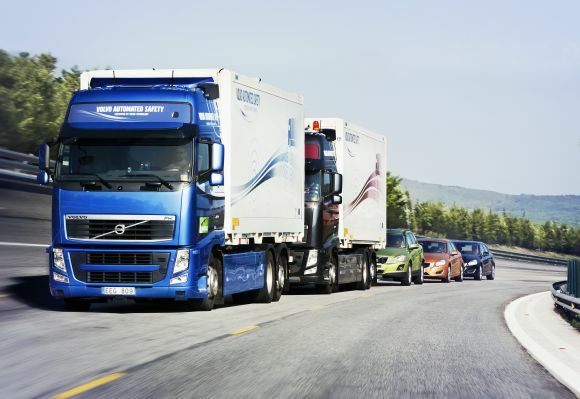 The road train was comprised of three Volvo cars plus one truck automatically driving in convoy behind a lead vehicle driven by a professional driver. All the vehicles were equipped with cameras, radar, laser sensors and wireless communications that enabled them to mimic the lead vehicle's movements, leaving their passengers to relax.